Fresh Fruit Cake 2 pounds made with all healthy ingredients and low sugar. This is the only cake that your mother and father would love. Special recipe from Cake 2 Thailand ®. Presented in a beautiful gift box sure to be impressed! Free delivery in Bangkok and surrounding area. 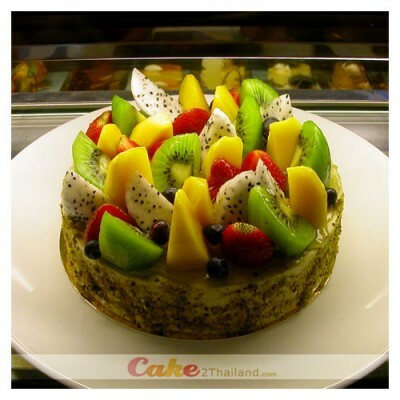 - Fresh Fruit Cake is Only delivery in Bangkok.